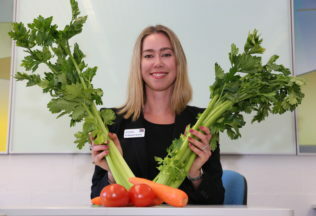 Children from regional and remote Australia are not eating nearly as many vegetables as they need, researchers from Edith Cowan University have found. The study, published online by the International Journal of Environmental Research and Public Health, discovered that only 13.4 per cent of kids aged 9-13 living in regional and remote Western Australian are not getting enough vegetables in their diets. Whilst factors like picky eating and lack of parental cooking skills were listed among reasons why kids were not getting enough vegetables, access to healthy food is also playing a role. “Over half of the respondents indicated they would eat healthier food if their food outlets stocked healthier options,” said lead Dr Stephanie Godrich. “And one-third pointed to food quality as being ‘sub-optimal’. This includes vegetables not being fresh in their local shops or spoiling soon after getting home,” Godrich reported. Price was listed as another an issue with 79.1 per cent believing food was more expensive for them than in other communities. Those who agreed they had enough food outlets in their town were ten-times more likely to eat enough vegetables than others who felt there is a lack of options. The researchers suggested a health promotional campaign could be conducted to inspire and remind parents that there is more to healthy eating than the fresh produce section. “Frozen and no added salt tinned offerings provide more opportunities for children to consume adequate quantities of vegetables, at a more affordable cost and with fewer quality issues than fresh vegetables” Dr Godrich said. “These are convenient, and they are usually more readily available when their fresh counterparts are out of season. “However, improvements to regional and remote food supply are crucial,” Dr Godrich said. The Australian Dietary Guidelines (2013) state children 9-11 and girls 12-13 should have five serves of vegetables a day, with boys 12-13 needing five and a half serves. The research was supported by a Western Australian Health Promotion Foundation (Healthway) research grant. Should toys really be used to incentivise children to eat healthy?